WOW! is all I can say about Vivabox USA. It’s a company whose idea is simple, yet brilliant: give a gift that someone will want and be excited about receiving. 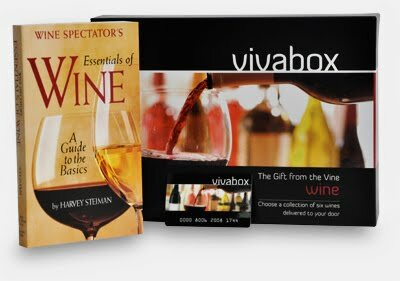 If I could recommend one Valentine’s gift to buy, it would be a Vivabox. A vivabox is an exciting new product that combines the freedom of choice with the personal touch of a real gift. This two layered gift can be the answer to all of your gift giving dilemmas. The first layer is a gift inside the box that is intended to familiarize the recipient with the product. The second layer is the gift card that can be redeemed for their gift selection from a menu of choices. Do you have an idea as to what type of gift someone would like? Select one of our themes that you think they would enjoy the most. This is the part that gives it a personal touch. They open the box and enjoy the gift inside. Depending on the box this could be a gift to try, taste or use and they all relate to the theme of the box. After enjoying the first gift, the recipient visits this website and enters their card number. They will be taken through the redemption process where they choose their final present. This is where the freedom of choice happens. Result: You have given them a present they actually WANTED! The basic theme was chosen by you for a personal touch but the actual gift was customized by the recipient. This ensures that you have given what he or she will most enjoy. Plus, they got to experience the joy of receiving the perfect present for longer than ripping off the wrapping paper. This book also helped us to choose the right selection of wines that comes with the Wine Vivabox. We went with the Chardonnay Assortment, but could have also chosen “Big, Bold Reds,” “Worldwide Reds,” “Delightful Whites,” “Top Selections,” “Mixed Medley” (three whites, three reds), or the premiere “Red, White and Sparkling” collection (regular and sparkling reds and whites). Not only will the recipient of this box get to choose from a selection of wines to receive, but a 12-month subscription to “Wine Spectator” magazine is also included with every redemtion except for the Red, White, and Sparkling choice! For $145.00, I’m not sure how Vivabox is even making money off of this box. The magazine’s newstand price alone costs nearly $100.00 ($49.95 online), and six bottles of wine could EASILY top $145.00! Impressive, to say the least. I think this particular box would be awesome for Valentine’s Day, or as a wedding or corporate gift to someone. Never again will you need to spend hours trying to determine what another person’s wine tastes are so that you can buy them a bottle. Redemtion of a Vivabox is also very simple. There are instructions included in each box, but basically you just go to their website, click the “redeem a vivabox” button, put in your information and the number of the card included in your box, click your choice, and whola! you’re done.